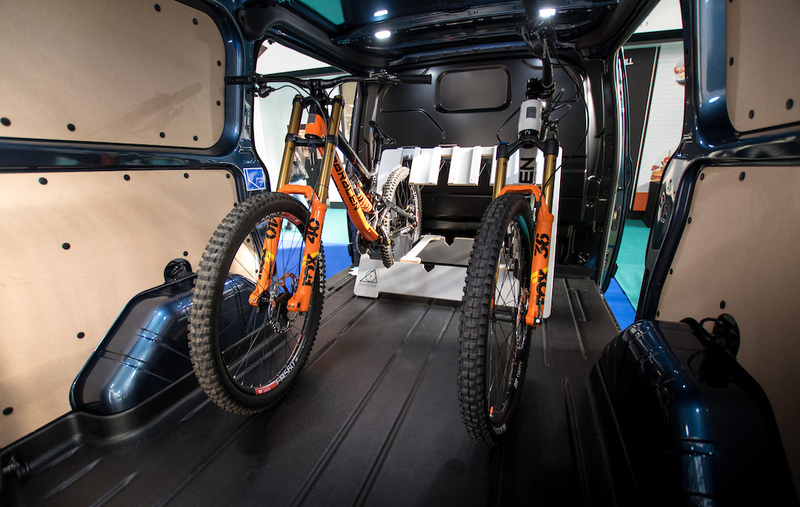 Bungees, rags and scratches may sound like a familiar story to you when loading bikes into vans. It was for our family. However, having to frequently load four muddy bikes after a long days riding into the family van, we got fed up and aimed to create a solution. 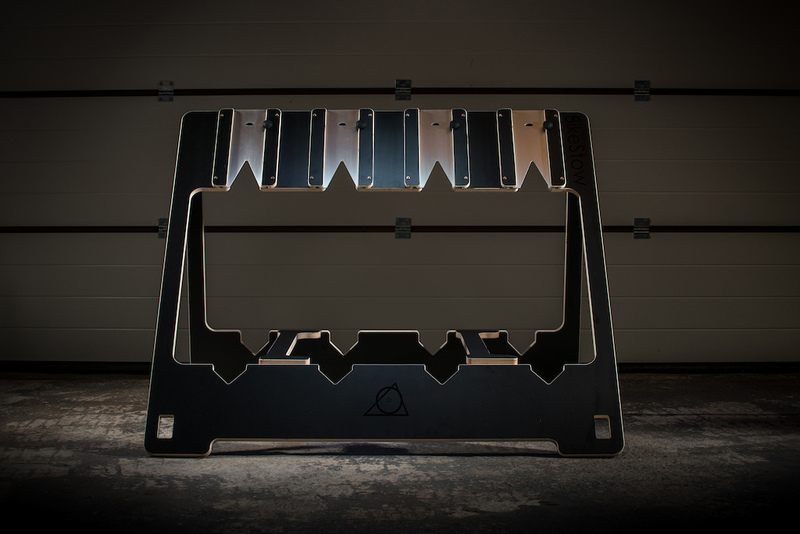 After three years of testing, tuning and development, the BikeStow is the result. It's a quick, easy & simple system for holding multiple bikes, of different disciplines, securely in the van, home or elsewhere. The patent-pending design features brushed aluminium 'v' sliders and a locking thumb screw, so all common wheel sizes are held firmly and rigidly. No scratches, no damage - even for multiple bikes. When not in use, the cross supporting 'dog bone' lifts up and the BikeStow folds flat, with magnetic catches keeping it neatly closed. We took a prototype to the 2018 Cycle Show at the NEC, Birmingham. 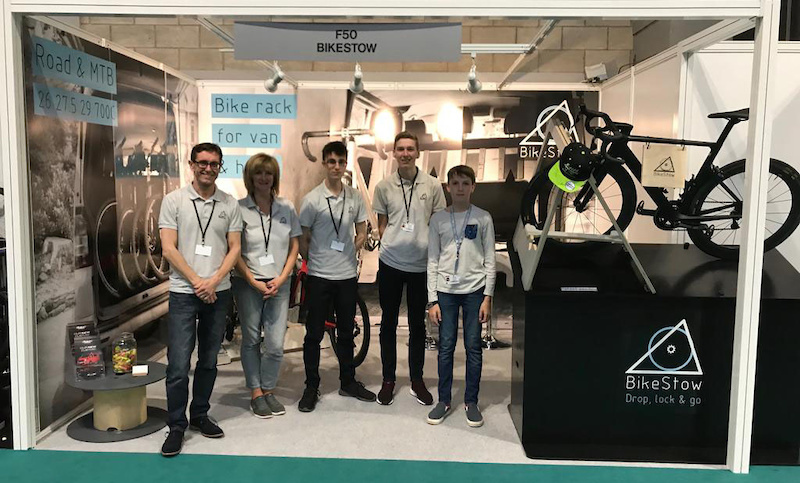 Having received such an overwhelmingly positive response, we are now producing the BikeStow in small batches - ensuring we keep the high quality, well engineered and hand crafted feel that was loved so much at the show. We've kept everything local in terms of manufacturing. The main structure is CNC routed from furniture grade birch plywood in Belbroughton, UK to ±0.25mm, and the aluminium parts are laser cut in Birmingham's Jewellery Quarter, UK, to ±0.1mm. 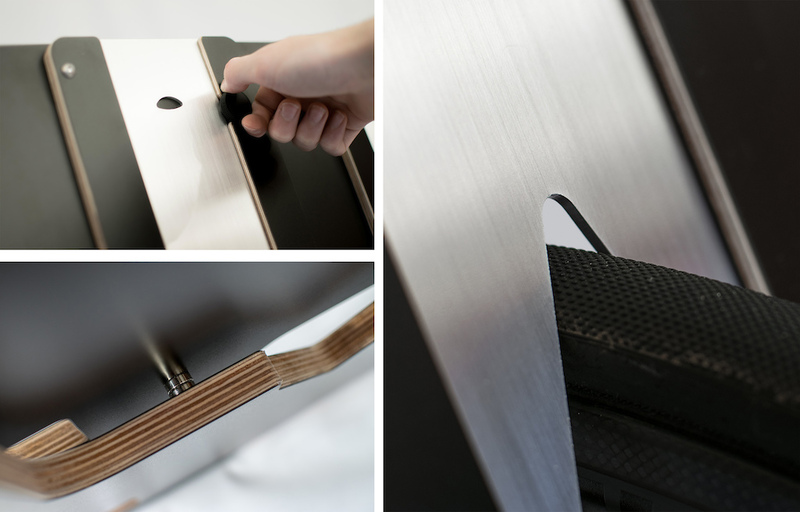 We finish and assemble each BikeStow by hand in small, limited batches. BikeStow endured a three-year long birth, fathered by Simon Laight. Initially, it was meant only as a solution to our problem of having too many bikes and not having a safe, easy and reliable way of transporting and storing them. Following encouragement from friends, we bit the bullet and booked a stand at the 2018 Cycle Show to see if our idea could go somewhere. In the six weeks between booking the stand and the show itself, we had to turn a DIY garage project into an actual product. This is when the family team truly formed. I want to complain about price, and how anyone could make a version of this. But all features included, this is pretty nifty, certainly well thought out and I would burn so much time replicating this if I wanted all the features, that I would be a huge a****** to pretend it would be worth it to make myself. super smart design, i love it. I've tried to design a rack to do just this, and my solution was nowhere near as elegant. Bravo. The price is a bit steep, but it is a well-made and unique product, perfect for my Chevy Express. I might just sign up for buying one of these, before I have second thoughts! I just got the 4 bike laminated version. Next day shipping. really good quality. Holds the bikes so well. And jumping on the bandwagon of fatbike hate. Works for me!